Now don't think cause I am only 12 lbs, I am short, I am tall, just like a Lhasa, but very slim and fine boned. Maybe I got Shih Tzu in me, or something else, I just don't carry myself like a Lhasa, and I don't have the tude that Lhasa's have. I lost my sister littermate, and I lost my home, when the landlord told my family, they had to get "rid" of one dog, and I guess that was me...I was put in the shelter, and I was terrified, if I was a person I would have wept for all the love I had and lost. Instead I just crawled into myself, and prayed that I would not be locked in a jail like this for long, I did not deserve this. Rescue was called, but I got pretty sick with the crud for a couple of weeks, and just laid around, partly because I was sick, but partly because I lost everything, my family and my sister. I am a sweet, loving, innocent. I promise to crawl into your arms, and into your heart, and you know if I could find another lil sister dog to be my friend, I would really really love that. Tovey is one of the gentlest and sweetest dogs we have ever met, he can be shy of strangers, but once he relaxes, he will do a little dance, shower you with love...Tovey is a jewel. 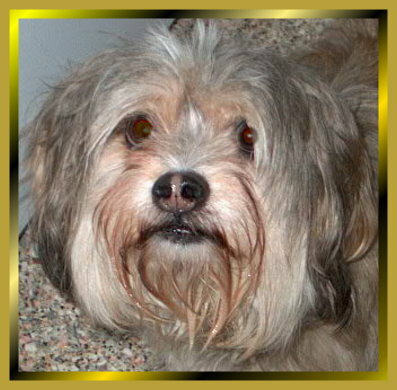 Darling Chester needs a groom, but cannot get in till Feb.1/07...this is one sweetheart of a dog. Chester is wonderful, he fits right in quickly. He gets on the bed to sleep but doesn't stay long, finds a doggie bed. He walks nicely on a leash. Chester will stand for brushing, but not crazy about it. He is not a mean dog in the least, no growling or anything, just a nice boy. He is housetrained, just sits and waits to let him out. Chester had some pretty nasty teeth, and just had extensive dental...he will truly be a sweet, mellow treasure to the right home. Toby has "one" request, just to be loved. Once you break through his quiet, lil lost soul demeanor, you will find, a very devoted soul. He is not gender specific, he will love a woman or a man, just whoever pays attention to him. Once he relaxes, he will chase through the house, squeak the toys, play tug of war...but Toby doesn't show this part of himself, till he feels loved and safe. He loves to go for walks, he would adore to have a walking partner. Toby was an only dog, when he came into my house, he was in "shock" to deal with 7 other furbabies. First day he growled, at them. He was not in the least wanting to fight, he was afraid...because any dog can tell him off, and off he goes...now, he lives in complete harmony with them, and has even initiated a bit of play. Toby is housetrained, and happily uses the dog door (which he never had before)...sometimes if you leave him alone, he can bark for a few minutes, so he is not a good choice for apartment life. 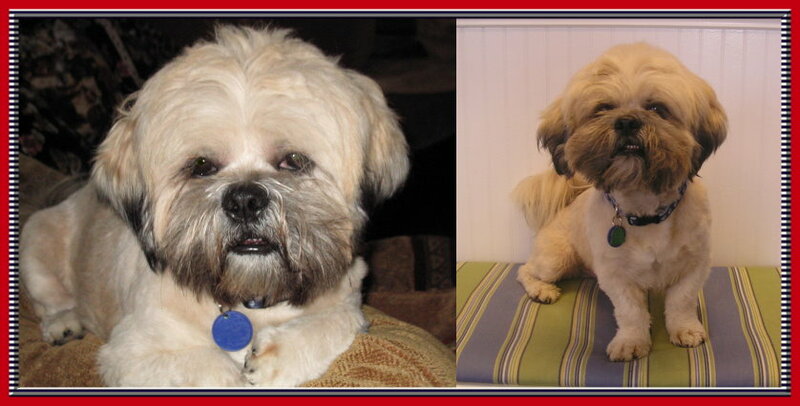 In true Lhasa fashion, Toby took change hard, but if you have just a small amount of time and patience...he will be your best friend and your constant shadow. My Foster Mom, says I am the "Marilyn Munroe" of the doggie world, with my gorgeous blonde/red hair, and beautiful disposition. I had a family, and I was fine with 2 young children, was fine when the 3rd baby was born, but I became overwhelmed when the 4th child came. So now I would like my own home with adults. I am an AWESOME girl. I chase leaves, flies, anything that moves, and whoa watch me on the beach, I will run right into the ocean after those birds. I am FANTASTIC to groom, just like a Princess. I love to cuddle in your lap. I love car rides, going for walks. Love to be outside, but better not leave me alone too long, cause I might dig. I respond to basic commands and I am smart. I love to make things fly across the yard, like pinecones and chase them. I am potty trained. Sometimes though when I get too excited, like meeting new people or greeting you, when you have been gone all day, sometimes I piddle a little in all the excitement. I love it when someone throws a toy down the hall, so I can chase after it. 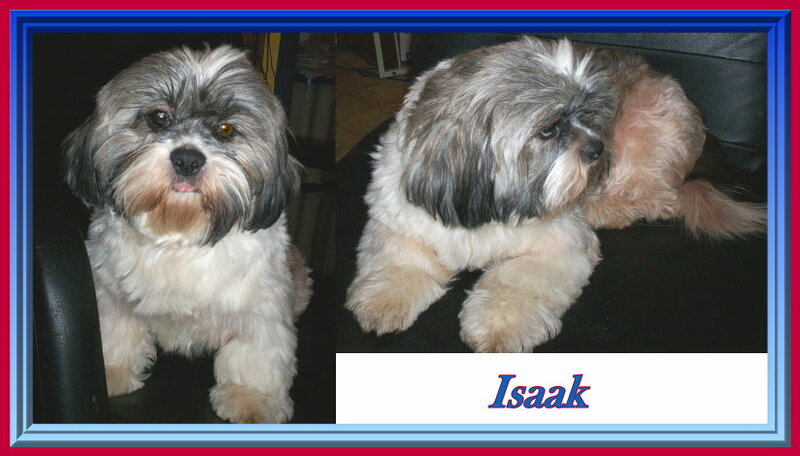 I am a great Lhasa...so hope to find my new Mommy and/or Daddy soon...cause I am a wonderful loving girl. This is the sweetest little guy you will ever meet. He was turned over to rescue because he didn’t know how to play nice. If Ridley had a toy no one could touch it, if you did he would bite. He has learned that if he gives up the toy there will be a game. He will “GIVE” a toy when commanded to. However this does not mean that there is no more work to do. Ridley needs a home with a mature person with no other pet or children. He needs some- one who will work with him and be his leader (NOT THE OTHER WAY). If he is not worked with and does not have a leader he will become the leader and start biting again (this is what worked in the past). Ridley needs daily exercise; he loves to go for walks in the woods and to the river. How ever he does not like to be groomed. At this time he is learning how to behave while getting groomed and may need to be muzzled while doing his nails and tail. I would recommend keeping him shaved down until he learns to be groomed (I’m working with him). I have gotten attached to this little guy and will only adopt him to someone willing to work with me to learn how to continue his training. I do not want to see him back in rescue. He is house and crate trained but would like to sleep at the foot of the bed. content to chill and hangout wherever you are. is controllable, especially with consistent training. willing student. He catches on very quickly and enthusiastically! 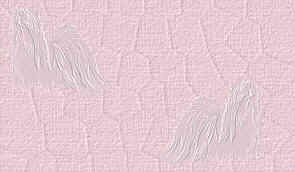 for a walk, he can be tentative of some people, and with others he is Mr. Personality...and he greets every dog as his friend. happy and sweet boy, and a real cuddle-bug! If you love Lhasa, you will love Howey. He has spent sometime at Doggie Day Care, and he was a very popular boy, and he so enjoyed it.